As we at My JHouse Rocks Promotions have conquered a milestone with our division of support for L'Arc~en~Ciel and all members solo projects via our dedicated Facebook page "L'America" that has now reached over 3000 "LIKES". In celebration to commemorate our efforts we have taken the opportunity to reach out to one of HYDE's ( vocalist/guitarist/composer of Japanese rock bands VAMPS and L'Arc~en~Ciel) managers '-J' and team member of 'VAMPROSE' for a brief question and answer interview with questions from global fans and our team at L'America. Q: Are you Hyde's manager who belongs to VAMPROSE? -J: Yes, but HYDE-san has several manager's. -J: It's a very long story, but the easy version is HYDE-san and I have a mutual friend. One night when we were all having dinner together, HYDE-san asked what I was doing in Japan... at the time my previous job had just ended, so things just fell into place. -J: I started in 2007, so almost 8 years. Q: Are you manager of another artist? -J: Well, I was helping to manage MONORAL internationally a few years ago, but essentially, I work for HYDE-san/VAMPS/VAMPROSE. Q: .Do you talk with him (HYDE) in English directly; or through somebody? -J: Usually I don't notice if I am speaking to HYDE-san in Japanese or English, we switch back and forth depending on the subject we are talking about. Q:.How do you think about his (HYDE) English skills? -J: I like HYDE-san's English very much, he speaks natural English (like how a native English speaker uses English), not like an English textbook. Q: How many managers does he have, except you (including the band L'Arc~en~Ciel)? -J: There are several managers working for HYDE-san/VAMPS, but VAMPROSE is a team, so any member of the staff can be considered a manager I guess. Sorry, I'm not sure about the L'Arc~en~Ciel team, I don't see them very often. Q: .Do yourself like music? and what kind of music are you inspired by? -J: Me? I love music! I enjoy all music that has lots of passion (like VAMPS). Inspired!? One of the coolest things that inspires me is watching HYDE-san sing when he is recording new songs. He has such incredible passion for his music, you can feel it everywhere... it gives me goose bumps (I think the Japanese call it chicken skin?). Q: Do you listen to the Japanese music? If you do listen, please tell us who in particular. -J: Yes, of course. Many, many, many years ago a friend of mine used to listen to Utada Hikaru over and over again, so I can still remember those songs. But working with VAMPS, of course I have been introduced to many other great bands. Of course, all of HYDE-san's and K.A.Z.-san's music, as well as U.S. acts like Pink, 30 Seconds to Mars, Pixies, Hollywood Undead, 3OH3, the list goes on and on... I love music! Of course, that is why I am so fortunate to be working with HYDE-san/VAMPS/VAMPROSE, I not only hear great music, but see how it is made! Q: .Please let us know if there is an impressive episode that you remember something until now about HYDE, K.A.Z, or others. -J: There are so many! I can't even begin to answer this one... hmm, let's just say I am always very impressed with HYDE-san and K.A.Z.-san when they make jokes or puns (dajare) in English very skillfully. It's hard for many Americans to makes good jokes in English, but somehow VAMPS makes some really skillful jokes in English and gets everyone laughing. Q: .What kind of opportunity did you appear in MV of ”VAMPIRE'S LOVE”? -J: Well, I was helping out in London during the shoot, and suddenly the director said he needed more people in the shot. I had no idea I was going to be so visible in that one scene though, I got lucky! Q: .Have you ever lived in Japan? -J: Yes! I love Japan very much, and to be there working with awesome Japanese rock stars like VAMPS makes it even better. Q: .Have you ever seen the concert of L'Arc-en-Ciel? -J: Many, many times. I started my job in 2007, so I was in the recording studio with them for many weeks, was with them for music video recordings, and was on tour with them all over Japan. Looking back now, it was of course very fun, but I also realize how great it was to see VAMPS created from the beginning, since VAMPS started in 2008. I feel really lucky to have been with VAMPS since they started. Q: How much of a perfectionist is HYDE? Not just in terms of pre-show preparation and recording, but also in terms of the production of music videos etc. Is he easy to work with? -J: Everyone I have ever met while working at VAMPROSE loves working with HYDE-san, of course myself included. He is not hard to work with, he's wonderfully creative and intelligent (and very humorous too)... truly a pleasure to work with. I don't know how much of a perfectionist he is because both HYDE-san, and K.A.Z.-san make being rock stars look so cool and effortless... but I guess that is what makes them rock stars, it's natural to them. Q: Will VAMPS visit Indonesia again? Is there any handshake event for South East Asian fans? especially Indonesia...How's VAMPS feeling towards Indonesian fans? -J: VAMPS loves to travel and performs in as many countries as possible. Although I wasn't there, I heard that VAMPS last time in Indonesia was very successful. Of course VAMPS loves all their fans, including their Indonesian fans, and I think if they could, they would just keep touring and touring all over the world. However, if they did that, they would have no time to record new music, so there is always a balance of touring, writing and recording new songs, recording music videos, etc. Q: .Have there been problems with transporting instruments during overseas performances? -J: As far as I know, VAMPS has luckily had no major delays with instruments getting to various countries... but sometimes, no matter how much you plan, it happens. HYDEsan's luggage was the only one that didn't make it to Las Vegas when we traveled there many years ago though. I was so nervous it wouldn't ever come, but it was on the next flight, so it was soon fixed. Message from -J-To all the great VAMPS fans who wrote questions, and to everyone reading this, thank you so much for all your support of VAMPS! I hope you're all enjoying VAMPS new album "BLOODSUCKERS" as much as I am! Thank you again for the opportunity to discuss VAMPS! 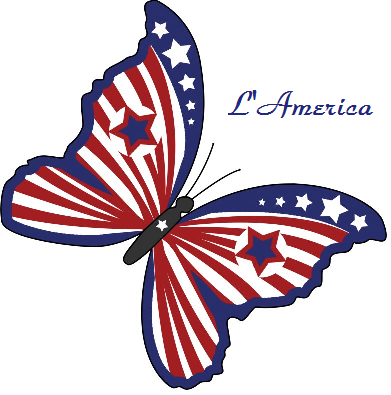 L'America thanks all the fans for their support and submitted questions in our ongoing effort to bring Japanese music to the world and providing you with the most updated material featuring VAMPS and L'Arc~en~Ciel and it's most talented members.